Mountain Goat Mountain - is a fast arcade game, where you climb the highest and most treacherous mountain ever seen by a goat. DODGE lots of things that when falling will most likely squish you. Collect different Goat Hats to travel to different environments, including Arizona Desert, VR Voxels, and Winter Snowland. The game is free to play, however in-app purchases are available for additional content and premium currency. In-app purchases range from $0.99 to $99.99. 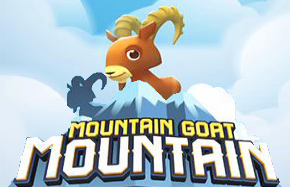 Mountain Goat Mountain: Install APK and Play the Game!